Deborah Lynn Schoner, 63, a vibrant soul with a strong personality who left us way too soon on February 11, 2019. She was born on September 9, 1955. She lit up any room she entered, even when it became a struggle to get around and participate. She was always eager to help anyone who needed it, regardless of how difficult the problem. She loved the challenge and delighted in the satisfaction of making things easier for others. She found the most joy in life by bringing those she loved together by planning yet another one of her parties. When she loved you, you were automatically her family. She didn’t love you any less because you weren’t born from her. She taught her children how to love each other no matter what, even through the difficult times. Her drive for life and her strength will inspire her children and grandchildren for years to come. She was employed by the State of Michigan for over 30 years before retiring in 2006. In 1999 she married the love of her life, Michael James Schoner, who survives her. They shared a love greater than most. “The perfect couple” were always sharing adventures together, often exploring different parts of the country. They were always up to something in the great outdoors, whether it be hunting, fishing or just playing on the boats. The love they shared shined as bright as the sun they cherished in their years together and was always evident by those watching. Michael would gladly stop to give his love a kiss upon catching a glimpse of each other as she laid out in the sun on the deck they shared overlooking Pretty Lake. Deb also leaves behind her daughter, Angelique Marie Blain; grandson, Jayden Riley Blain; step-daughter, Tana Louise Durhams; step-grandson, Austin Michael Schwind; step-son, Justin Michael Schoner (Jen); and step-grandson, Landon Westcomb; step-daughter, Christa Lee Heydenreich (Chris); step-daughter, Tricia Kay Sharp, step-grandson, Kyle Joseph Sherman Sharp. Per Deb’s wishes the family will not be having services, but will instead throw a party at Pretty Lake where she lived in the coming summer to celebrate her life, Debbie style! She was a hard working, passionate figure of strength, who always supported and loved her family. A woman who soldiered on, even in the toughest of times. When cancer steals the life of someone you love, there are no words. Cancer has no rhyme or reason. Cancer takes aim and shoots without a thought or care in the world. It has no feelings. It doesn’t care if you are young or old, evil or kind. It doesn’t care, it just takes. Cancer may have taken our mother, wife, daughter and friend, but it will never take our memories of her smile, the trips we took, the parties we had, the good times or the bad times and most of all the lessons she taught us. Those, we hold dear to our hearts, as we reminisce on the woman that showed us so much and was one of a kind and taken from our lives much too soon. To send a message of sympathy to the family, sign Deb’s online guest book, or to share a favorite memory, please visit: ChristiansenCares.com. Arrangements are entrusted to Christiansen Cremation & Funeral Care in Greenville. 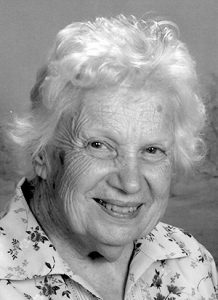 Elva L. Jones, 98, of Charlotte, died February 7, 2019. Mrs. Jones was born December 4, 1920 in Lansing, a daughter of Orrie L. and Jessie B. (Winegar) Denniston. She was a former M.S.U. laboratory technician, Michigan National Bank employee and State of Michigan employee. Elva was preceded in death by her husband, Wilbur; daughter, Janice Kirk; sister, Margaret Wilson; brother, Maurice Denniston and grandson, David Cross. Surviving are her daughter, Kathleen (Samuel) Cross of Charlotte; grandchildren, Jonathan Cross, James Cross (Christina), Lisa (Brian) Ruble, Robert Cross, Jennifer Kirk (Steven) and Joshua Kirk; great-grandchildren, Ryan, Ambrosia and Jonah; nieces, Linda, Debi and Denni-Ann; and the extended Morgan family, Jean, Jamie, Kimberly, Amanda, Chris, Alexandria and Peter. Services will be held at noon on Saturday, February 16, 2019, at Field & Leik Funeral Home in Dimondale, with Pastor John Bailey officiating. Interment will follow at Dimondale Cemetery. The family will receive friends for the hour prior to services. Kelly Ann McConnell, a loving and caring, daughter, sister, granddaughter, friend and girlfriend, died unexpectedly Tuesday, February 12, 2019. Kelly, 20, was born March 2, 1998 in Charlotte to Dale and Denise (DuBois) McConnell. Following her graduation from Charlotte High School in 2017, Kelly continued her education at Lansing Community College. She most recently worked at Linn Products in Charlotte as a General Laborer. Kelly had numerous hobbies, from playing indoor soccer, hanging out with friends, social media, music, doing her make-up, and changing the style/color of her hair. Caring for animals was Kelly’s biggest passion in life. She had a pet snake Henry and lizards. Kelly was known for being the best aunt to her seven nieces and nephews. 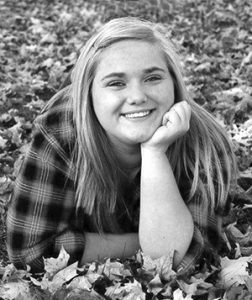 Above all, Kelly will be remembered by her family for being caring, loving, and always happy. Kelly is survived by her loving family; parents, Dale and Denise; siblings, Mayme (Keng) Lee, Joseph Rodriguez, Austin Rodriguez, and Erik McConnell; grandma, Kathy (Henry) Banda; grandpa, Dale McConnell Sr.; uncle, Patrick McConnell; aunt, Cynthia Keith; boyfriend, Marcelino Martinez; and her seven nieces and nephews. Kelly was predeceased by grandparents, James and Patricia DuBois; and great-grandparents, Frederick and Marie Stetson. Friends are encouraged to support Kelly’s family at visitation and funeral services. Funeral services are Saturday, February 16, 2019 at 2 p.m. at Pray Funeral Home in Charlotte, with Pastor Charles Jenson officiating. Visitation will be held just prior to the funeral, from noon to 2 p.m. If desired, the family suggests memorial contributions to The Eaton County Humane Society. Friends and family are encouraged to share memories of Kelly on her tribute page at PrayFuneral.com. 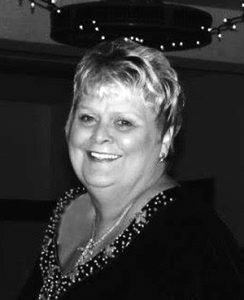 Dolores “Kay” Cole, 68, of Charlotte, a feisty spirit and life of the party, died February 10, 2019. She was born in Bridgeton, N.J. on July 9, 1950 to Daniel and Mary (Schmidt) Moncrief. She graduated from Charlotte High School, and then married Carroll J. “Onion” Cole on May 1, 1970, and together they raised four daughters. Kay was always very sassy, and passed some of this on to her daughters. She worked at Owens-Illinois and later at AE Hoover in Charlotte. Kay enjoyed scratch-off lottery tickets, fishing, camping, morning drives with her husband and dogs, listening to country music, and especially spending time with her grandkids. In their younger years, Kay and Onion loved square dancing with neighborhood friends. Kay is survived by her husband of nearly 49 years, Carroll J. “Onion” Cole; daughters, Cheryl L. Miller, Angie (Loyd) Cords, Carol (David) Betts, and Katherine “Katie” Cole; grandchildren, Joshua D. Miller and Shaine A. Miller; sisters, Anna (Jim) Mullins, Katherine (Jerry) McCormick, and Ruth (Gary) Cole; and several nieces and nephews. She was preceded in death by her parents; brothers, Jack, Tom, and Bill Moncrief; and nephew, John Moncrief. If desired, the family suggests memorial contributions to a charity of your choice. 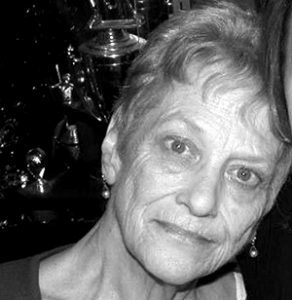 Friends and family are encouraged to share memories of Dolores Kay on her tribute page at PrayFuneral.com. 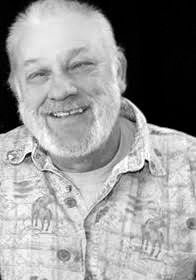 Bryan Gene Faurot, a man full of love for the outdoors, died Tuesday, February 12, 2019, at his home, surrounded by family. Bryan, 60, was born October 9, 1958, in Marshall, the son of Max Leroy and Frances Helen (Courtright) Faurot. Bryan graduated from Olivet High School in 1976 before joining the U.S. Marine Corps, serving four years. He married his sweetheart, Patricia Vlahakis on July 30, 1977, and the two settled into family life. He worked as a machinist at Airway from 1978-1991, followed by nine years at Auto Cam until his retirement. Those who knew Bryan recognized his deep love and pride for his family. He was a friendly, lovable and outgoing personality who shared his kindness with all. He was a great conversationalist, and was able to pull life stories from those he talked with. He shared his enthusiasm for fishing, hunting, camping, and love of sports with everyone he came in contact with. Bryan could be seen in the stands for countless sporting events for friends and family alike throughout the years. Bryan is survived by his wife, Patricia; son, Bryan (Melissa) Faurot II; daughter, Vanessa (Melvin) Fenner; grandchildren, Caden and Lilly Faurot, Zyra and Larkin Fenner; siblings, Deborah (Joe) Mulvany, Kim (Dwayne) Carroll, Kelly (Greg) Alberda, and Robert (Melissa) Faurot; and several nieces and nephews. He was predeceased by his sister, Linda Purucker; his parents; and his nephew, Jon Max. Friends are encouraged to support Bryan’s family at visitation and memorial services. A memorial service will be held at 2 p.m. on February 23, 2019, at Pray Funeral Home in Charlotte, with Pastor Don Roscoe officiating. Visitation will be from noon to 2 p.m. on Saturday, just prior to the service. If desired, the family suggests memorial contributions to Heartland Hospice. Friends and family are encouraged to share memories of Bryan on his tribute page at PrayFuneral.com. Linda Louise Silvas of Charlotte, beloved “Old Woman” (a nickname given to her by her grandson, Kenny), died February 11, 2019, just a short four months after her beloved husband passed. Linda, 76, was born December 12, 1942 in Charlotte, to Elwood and Eunice (Fladeboe) Whitinger. Linda was the youngest of five sisters, with one brother younger than her. Linda worked as a Certified Nursing Assistant at the Eaton County Medical Care Facility for several years, and then on the line at AE Hoover until they closed. She was a regular at Firekeepers Casino, and QVC Queen shopper with daily deliveries to make sure she had a gift for every occasion. With a very large extended family on both parents’ sides, family gatherings were always happening and Linda relished her large family and knowing the scoop of any family story. Mexican food was one of Linda’s specialties, she made great tortillas and Spanish rice, as well as amazing fudge and all kinds of special recipes. She loved to share her huge garden and taught many of the neighborhood kids about vegetable growing. A “Master Planner” for all occasions, Linda even chose the photos to use for her own memorial service during her final days. A master at putting everyone else first, she always made sure that her children, and then her grandchildren, had what they needed. Linda is survived by her children, Jodie (Steve) Driver, Rob (Michelle) Silvas, Amy (Aaron) Sawatzki and Angel (Eric) Bartlett; grandchildren, Jennifer (Thomas) Hoffman, Kenny (Annalesha) Silvas, Todd (Sarell) Driver, Rikki (James) Shepherd, Randi Sawatzki, Robby (Kayla) McElhaney; great-grandchildren, Martina and Landon Hoffman, Devin and Drake Silvas, Aubrie and Kameron Driver, Madeline and Gemma Shepherd, Stevie and Raelynn Sawatzki, Ellie Mae and baby due in July, McElhaney; great-great-granddaughter, Dylan Rae; siblings, Wilma Campbell, Leila Whitinger, John (Sue) Whitinger; and many nieces and nephews and cousins. She leaves behind her husband’s large extended family as well. She is predeceased by her husband, Matt; sisters, Lucille Tuckey and Marion Whitinger; brothers-in-law, Joseph Tuckey, and and Norman Campbell; and her parents. Friends are encouraged to support Linda’s family at visitation and memorial services. Memorial services are Monday, February 18, 2019, at 3 p.m. at Pray Funeral Home in Charlotte. Visitation is prior to the service, from 1 to 3 p.m. at the funeral home. If desired, the family suggests memorial contributions to American Diabetes Association or Eaton Community Palliative Care. Friends and family are encouraged to share memories of Linda on her tribute page at PrayFuneral.com. 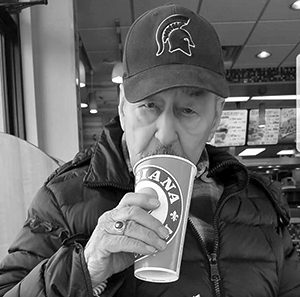 Paul Junior Makley, 82, of Olivet, a man who enjoyed many outdoor activities, died peacefully on February 14, 2019. He was norn March 27, 1936 in Detroit to Carlie and Melba (Strieter) Makley. He married Dolores Wheeler on July 17, 1954 in Angola, Ind., and they raised four daughters together. A great story-teller, Paul loved to embellish his adventures, which went well with his hobbies of hunting, fishing, and golf. Paul was a union construction man for 23 years, self-employed construction for six years, and most recently the State of Michigan Department of Public Health for 26 years until his retirement in 1996. Paul is survived by his daughters, Christine (Joe) Anderson, Kathleen (Steve) Hoard, Karen (Carl) Dickie, and Connie (John) Stark; grandchildren; great-grandchildren; and brother, Kenneth (Nancy) Makley. He was preceded in death by his beloved wife, Dolores; brother, Fred Makley; and his parents. Friends are encouraged to support the Makley family at visitation and funeral services. Funeral services are Monday, February 18, at 10 a.m. at Pray Funeral Home in Charlotte, with Pastor Jack Brown officiating. Visitation is Sunday, February 17, from 2 to 4 p.m. and 6 to 8 p.m. If desired, the family suggests memorial contributions to The Olivet Lions Club. Friends and family are encouraged to share memories of Paul on his tribute page at PrayFuneral.com. 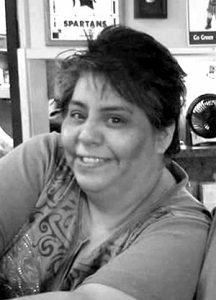 Deborah Ann Ramirez, 52, of Charlotte passed away unexpectedly on Thursday, February 7, 2019. She was born in Bay City, Texas on December 1, 1966, the daughter of Rose Castaneda. Deb graduated from Charlotte High School, Class of 1985. She was a proud worker and kitchen manager at Mike’s Sports Page in Charlotte. She enjoyed spending time with her family and grandchildren. Deb had many friends and enjoyed her time with each of them. Deb is survived by her children, Irvin Champlin, Casey Champlin and Hannah Johnson; mother, Rose (Bob) Cook; grandchildren, Mya Champlin, Donald Mitschke, Alani Champlin and Liam Champlin; great-grandson, Sebastian Wendel; siblings, Tommy (Sherry) Ramirez, Randy Ramirez and Holly (Glenn) LaPere, nieces, nephews and many cousins. A memorial service was held on Friday, February 15, 2019 at 6 p.m. at Burkhead-Green-Kilgo Funeral Home, with Pastor Randy Royston of New Hope Church officiating. The family received friends on Friday, February 15, 2019 from 4 to 6 p.m. at the funeral home. Those desiring, may make contributions in Deb’s memory to the family to help with funeral expenses. There will be a pool tournament on Saturday, February 16, 2019 at 2 p.m., held at CB’s. Contributions may also be given on the Go Fund Me Page on Facebook (https://www.gofundme.com/5pavjz-in-loving-memory-of-deborah-ramirez?utm_source=facebook&utm_medium=social&utm_campaign=fb_dn_cpgnstaticxlarge_r), Mike’s Sports Page, CB’s and Evelyn Bay. Patrice “Pat” Annette Halloran, a loving mother and grandmother, died Friday, February 8, 2019 in Lansing. Patrice was born December 31, 1946 in Battle Creek, the daughter of R.G. and Sharon (Ellis) Rounds. Pat graduated high school in Galveston, Texas, before returning to Michigan, where she raised her family and worked nearly 30 years with General Motors. Pat loved sports, especially the MSU Spartans, and playing cards with her friends. She was an avid Bingo player and enjoyed trips to the casino. The most important part of her life was time spent with family, especially following her great-grandchildren as their No. 1 fan through their many sporting events. All of the many family friends will miss “Grandma Pat” cheering from the sidelines. Pat is survived by her daughter, Kimberly (Bill) Rounds; grandchildren, Ashley (Rob), Tori (Brittany), Heather, Holly, Hailey (William), Tyler, Tara, and Corrie; great-grandchildren, Devon, Braylen, Camden, Ariana, Dominik, Ali, Matthew, Dougie, Evelyn, MyKenzie, Luna and Abel; and her best friend of 50-plus years, Yvonne “Sis” Moore. She is predeceased by her daughters, Christine Halloran and Stephanie (Halloran) Amos; and her mother, father, and step-mother, Gladys Rounds. Funeral services were held Monday, February 11, 2019 at Pray Funeral Home, with Pastor Charles Jenson officiating. Interment took place in Kalamo Hillside Cemetery. If desired, the family suggests memorial contributions to the family. Rickie Duane Starkweather, son of Theo Duane and Shirley Mae Starkweather (Burkett), entered into eternal sleep January 29, 2019 at 59 years of age. He is preceded in death by brother, Jerry Starkweather. He leaves behind sister, Vickie (Ronnie) Corbins of Charleston, S.C.; brothers, Randy Starkweather, Terry (Arline) Starkweather of Phoenix, Ariz.; aunts, Flora Cousins of Vermontville, Rachel (Jim) Clark of Lake Odessa; and many cousins and friends.